Heard of Comet Lovejoy? True to its name, this particular comet has been spreading a lot of love and joy this holiday season by putting on a beautiful show for the entire world to see. The skies are offering you with their own version of a holiday gift this year – a brightening comet that might not even have been a part of the earth’s solar system for almost 12000 years. Comet Lovejoy was discovered only in the month of August. It has been brightening quickly ever since and has almost reached naked-eye visibility as it moves to prime viewing locations for people living throughout the Northern Hemisphere. The comet has already become quite famous because of the beautiful Christmas show that it has been putting up along with molecules that glow green. The comet was first spotted by an Australian astronomer Terry Lovejoy using an eight inch mirror and a Celestron C-8 telescope. It was discovered right before dawn on the 17th of August, 2014 and it proved to be Terry’s fifth comet discovery since the year 2007. In fact, Terry managed to spot the comet while it was in its 15th magnitude. It wasn’t predicted to become visible until February 2015, but as you might already know, comets can prove to be quite unpredictable. And this particular comet has certainly been increasing its brightness at a rapid pace. 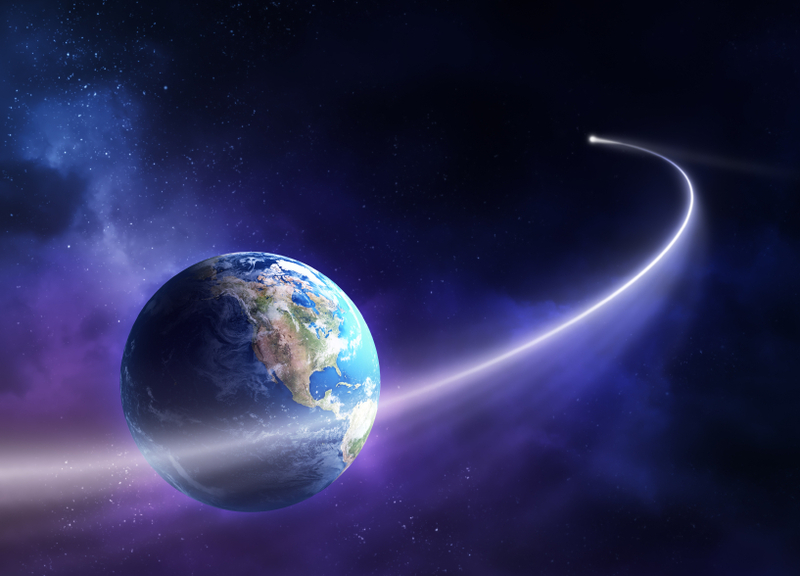 OROGOLD discovered claims from many observers in the Southern Hemisphere who mentioned that the comet had almost reached naked-eye levels already. This should make it quite easy to find a distinct hazy ball with binoculars. Experts state that if comet Lovejoy continues on its current course, it might reach magnitude 4.1 by January itself, which could make it visible to the unaided eye from city suburbs. Comet spotters could find this comet throughout Christmas week using their binoculars as it travelled through the Columba constellation, at 30 degrees to the south of the Orion constellation. The ideal way to spot Comet Lovejoy during the holiday season was to use a technique known as averted vision. This observation technique allows one to examine a faint object in greater details. The comet also offered a spectacular photo opportunity as it posed with the beautiful Messier 79 in the Lepus constellation on the 28th and 29th of December. It’s quite amazing when you realize that the stunning globular star cluster lies at a distance of almost 40000 light years from planet Earth, as compared to the 4.4 light-minutes distance of Comet Lovejoy. Experts now hope that Comet Lovejoy shall continue to excite and delight people across the world well into the New Years’. So, even if you haven’t been able to see the comment till date, you can expect it to move rapidly from the Lepus constellation to the Eridanus constellation in the first week of January. The comet should be arriving the Taurus constellation by January 9th. Through most of January, observers can check out the comet from several destinations in the Northern Hemisphere.